Anyway, whether you’re the sort of person who guffaws at the notion of anything to do with “mind and body” or you’re a fully-fledged yoga-posing energy-channeling guru, there’s no denying that your skin reflects the state of your physical well-being; burn the candle at both ends for a week and you soon see your face falling apart. 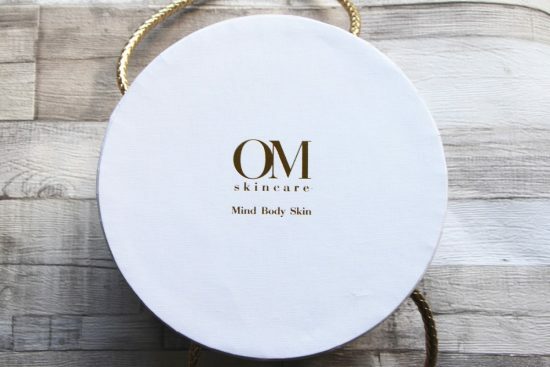 And so the concept of taking time out to relax, breathe and pamper is at the heart of OM Skincare – it’s science-meets-mindfulness, a dose of Chi Energy mixed with a small (but perfectly formed) range of multi-tasking, skin-adapting beauty products. 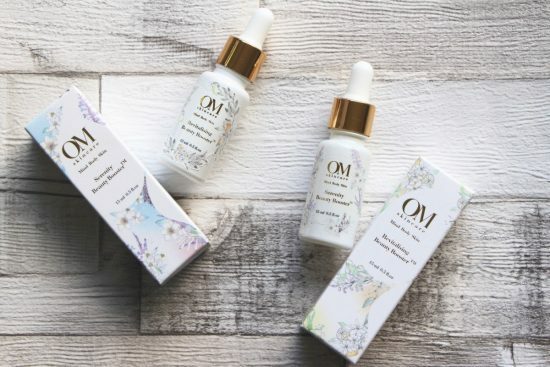 The range includes brilliant little bottles of skin “boosters” packed full of antioxidants, moisturising creams for line-plumping or added radiance and a brilliant invisible finish primer that leaves the skin soft and smooth and perfectly prepped for makeup. Throughout the winter months continue to drink plenty of water throughout the day and exercise regularly, enough to bring a flush to the skin by getting your blood circulating and your pulse rate up – we especially love an invigorating Yoga session or a brisk walk in the park. As tempting as it may be to turn up the heat in the bath or shower, avoid going too hot as hot water is dehydrating to the skin. Warm water is skin friendly. Get more moisture-boosting benefits by adding a few drops of bath oil to your bath, or body oil all over skin immediately after bathing. Sunscreen is a year-round necessity. UV rays will replace your natural glow with discoloration, dryness and eventually wrinkles, sun damage and pigmentation. Even sitting behind your laptop or mobile screen emits blue light that damages and ages skin. Protect skin with a sunscreen every day, even when it’s raining outside. A boost of Vitamin D via winter ‘sensible’ sun exposure, i.e., exposing your skin to midday sun (between 10 am and 3 pm) for 5-30 minutes twice weekly, may be sufficient to meet vitamin D requirement. 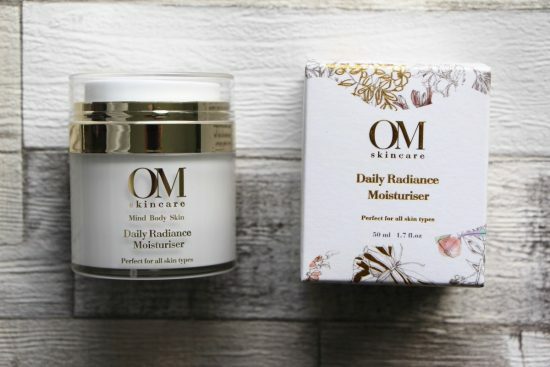 I then have FOUR runner up prizes of the Daily Radiance Moisturiser, worth £58.50 each! 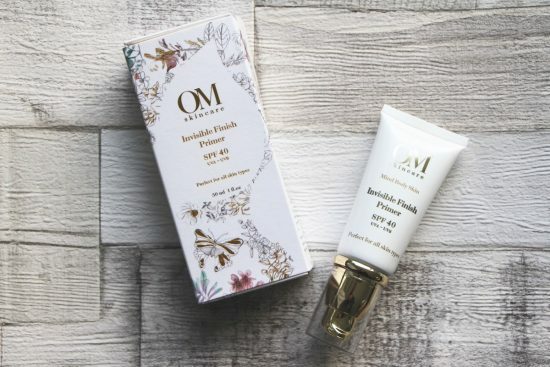 Five chances to get your mitts on some utterly gorgeous skincare. This giveaway is open to all readers internationally – all you need to do is leave a comment below before noon on Friday 21st October 2016, making sure that you leave your email address in the form where prompted. I’ll announce the winners in the following Sunday Tittle Tattle. 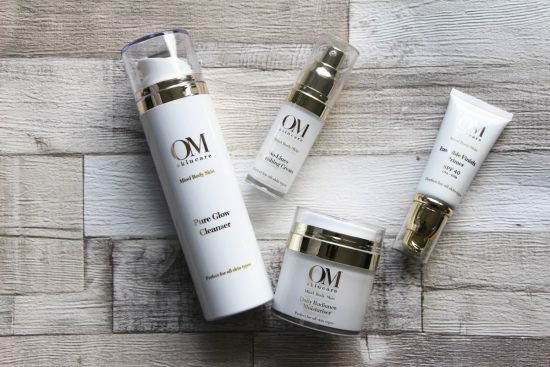 Good luck – and if you have any questions for Dr Om then you can find her on Twitter here and Instagram here. 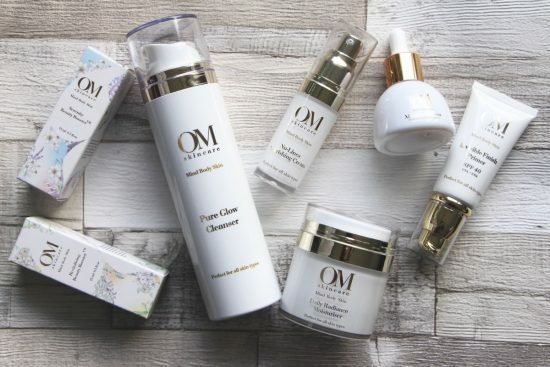 All products, if you want to get further details, are available at www.omskincare.co.uk and spacenk.com.